Shanghai is set to become a world sports center for major international events by 2025. Recently, the city has just won the right to host the 2019 World Wushu Championships. 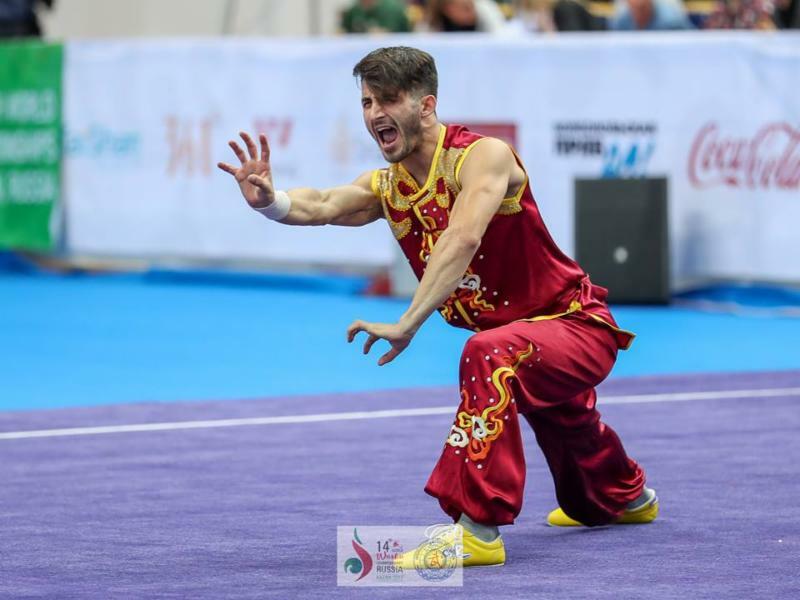 At the 14th International Wushu Federation (IWUF) Congress, Shanghai won the bid for hosting 2019 World Wushu Championships, after giving an impressive presentation. The championships, an event held every second year, is the highest-level competitions in the world of Wushu. Get ready, get set to qualify for the Canadian National Team! Please ensure you have read and are familiar with the Registration and Accreditation processes outlined in section III.B. Standards and Guidelines for uniforms of athletes, coaches, and team officials, including for taolu and sanda events. Note that gloves and protective equipment manufactured by IWUF’s certified supplier(s)will be provided by the Organizing Committee. “Medalists are expected to attend the Awards Ceremony in their national team uniforms; however, they are permitted to attend the ceremony wearing competition uniforms should the ceremony take place immediately after the competition. Athletes are expected to take off caps/hats during the ceremony. Athletes and officials are not allowed to take any religious symbols to or onto the podium.” Note that a sanda awards ceremony for a weight class will take place on the same day as the finals for that weight class, regardless of when the finals for other weight classes take place. The official weigh-in for all sanda athletes will take place at 07:00 on October 19th, 2019. Furthermore, sanda athletes must attend a weigh-in on each day they participate in competition (specific time and places for each weigh-in will be announced accordingly). Accreditation cards and passports must be presented at each weigh-in session. A sanda athlete’s failure to attend any required weigh-in will result in his/her disqualification from the competition. “A 15th WWC Supervisory Commission shall be established by the IWUF, with the purpose of and the right to resolve any disputes or investigate any issues that arise during the course of the 15th WWC to ensure the smooth execution of the event.” For full details see section XVIII. of the regulations. “NFs are responsible for their officials, coaches, athletes, and observers adhering to the IWUF and WWC principles and to all relevant rules established by the IWUF and Organizing Committee. NFs should ensure that their participants hold themselves to the highest standards in all their actions during the event.” This includes the attitude of a federation’s athletes, the image of the athletes, and securing insurance for athletes. “The Creative Group Event is a non-medal event, and winners will receive certificates. 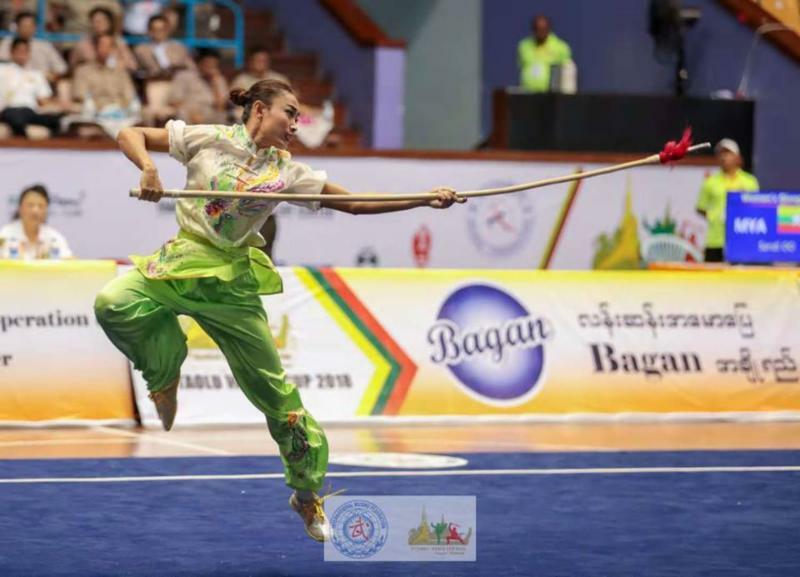 The purpose of the event is to provide an opportunity for wushu athletes to push the limits of their creativity and display their unique talents, demonstrating the beauty and distinctive visual appeal of wushu. The specific demonstration rules can be found in Appendix 6. The duration of each team of the creative group event is set at three (3) minutes. Each Team must prepare their own pure music without lyrics and vocals. The style of music is not limited. Note that the number of B Group (Overall Performance) Judges has been increased from 3 to 5. 3.1. Is responsible for leading the judges’ refresher course and overseeing judges’ performance. 3.2. May deduct points should a routine duration be under or over time and/or for choreography errors; May award bonus points for innovative Degree of Difficulty Techniques. Note that the Head Judge is neither a member of the B Group Judges, nor may she/he adjust an athlete’s final score. 1.1. Appeals may only be lodged with regards to C Group (Degree of Difficulty) appraisal, routine choreography deductions, or routine time limit issues. 1.2. Appeals may only be lodged by team coaches or team leaders on behalf of their own team’s athletes. 3.1. Should a participating team object to the judges’ appraisal of one of its team’s members, the respective team leader or team coach may lodge an appeal by submitting it in written form to the Jury of Appeals within 15 minutes of the conclusion of the athlete’s routine, together with an appeal fee of US$200.